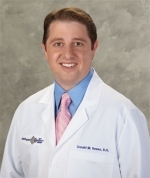 Dr. Donald M. Sesso is widely known as Philadelphia's snoring doctor. He is a Board Certified ENT Otolaryngologist in Head and Neck Surgery, Facial Plastic Surgery, and Sleep Medicine. Dr. Sesso received his undergraduate degree from DeSales University (Pennsylvania) and completed medical school and residency training in head and neck surgery from the Philadelphia College of Osteopathic Medicine. He completed a fellowship in sleep apnea surgery at the Facial Reconstructive Surgical Center. Following his training, he joined Drs. Powell and Riley at their world renowned sleep apnea surgical center at Stanford University Medical Center. Dr. Sesso received additional training in craniofacial surgery with Dr. Stephen Schendel. Most recently he was a clinical investigator for the Inspire sleep apnea research trial. He has published and lectured in the field of sleep medicine and surgery. Treating both adults and children, Dr. Sesso is trained in all aspects of ENT as well as specializing in the surgical treatment of obstructive sleep apnea and sinus disorders. His hospital affiliations include Abington Surgical Center, Blue Bell Surgical Center, Chestnut Hill, Einstein Medical Center Montgomery, Mercy Suburban as well as Roxborough Memorial Hospital. Dr. Sesso is a member of the American Academy of OtolaryngologyHead and Neck Surgery, American Academy of Sleep Medicine, American Medical Association, American Osteopathic Association and the American Osteopathic College of OtolaryngologyHead and Neck Surgery.